For years, making money from the comfort of your own home was simply a dream. But today there are many ways to make this dream a reality. 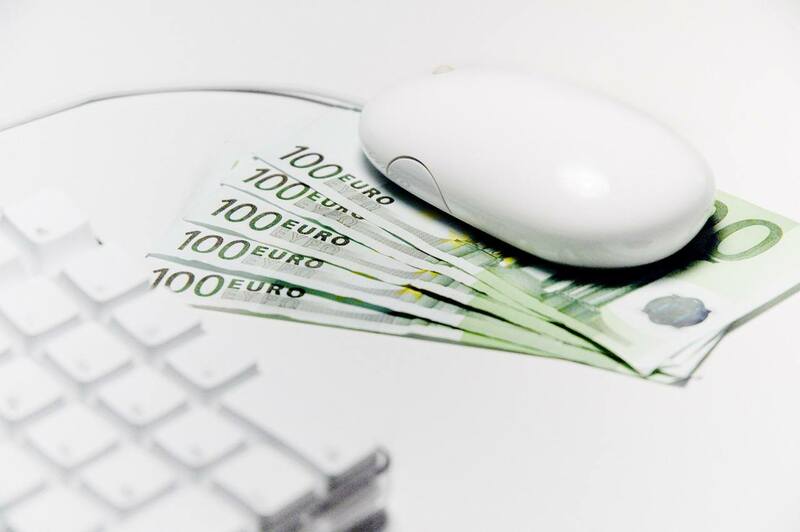 The internet has created endless possibilities to generate part- or full-time income from virtually anywhere. Your unique skill set and the amount of time you are willing to put into this endeavor are the only limitations on your success. To help you get started, here are 3 easy ways to make money online. This has been a tried and true method to make money online since we first discovered the joys of eBay. One of the best things about this method is that you should already have everything you need to get started. In order to get an idea of what you have to sell, start by taking an inventory of things around the home that you have not used or worn in a while. Once you have compiled a list, take some time to visit popular online retail and resale sites to get an idea of how much you can expect to get for these items. As you visit each site, make sure to take note of how many results you get for each query. This will give you an idea of the level of demand for that particular item. Once you have researched each item to get the price-point and gauge demand, you are ready to place your very first ad. Pros: In many cases, this method does not cost you anything. Sites like Facebook or Craigslist typically allow users to list items for free. Retail giants eBay and Amazon may charge a small fee, but also help you gain access to a larger audience. Cons: One of the biggest cons of this method is that you will eventually run out of items to sell. Also, while some items may sell very quickly, others may not sell at all. This is based entirely on the level of demand for the item. 2. Start an online business in your niche. When it comes to creating an online business, you are your most valuable asset. This is an opportunity for you to take your unique knowledge, skills and abilities and use them to fill a need. Depending on your skillset, this may or may not involve actual physical products. If you are interested in creating an online business but are unsure of where to start, the experts at The Midas Legacy may be able to help. They specialize in working with aspiring entrepreneurs and helping them find ways to become more successful. With a proven track record of providing research and consultation services to people across various disciplines, The Midas Legacy has what it takes to help you be successful in your online business endeavors. Pros: The biggest advantage of this method is that it provides a means to generate long-term income. Also, this method does not necessarily involve keeping any type of physical inventory. Instead, you can focus on finding ways of using your skills to fill a gap in the market. Cons: Initially, it may take some work to be successful at running an online business. It requires a great deal of planning and implementation in order to be successful. Also, even if you do not intend to sell actual products, you will still need a professionally designed website and content to generate traffic. 3. Complete short tasks for cash. Believe it or not, there are lots of websites out there that allow you to turn your spare time into small pocket change. These sites look for people to complete short tasks such as writing, editing or online research, in exchange for pay. This includes survey sites such as InboxDollars and CashCrate, or microtask sites like Fiverr, Microworkers, or Amazon Mechanical Turk. These sites post tasks that can be completed fairly quickly in exchange for a pre-determined sum of money. Pros: Many of these tasks can be completed in a short amount of time, making them perfect for busy students or stay-at-home parents. Most of these sites are completely free. Cons: Competition for these jobs can be fierce. Many of the survey sites require the use of your own personal information to complete the surveys. Tasks can also be quite menial and boring.